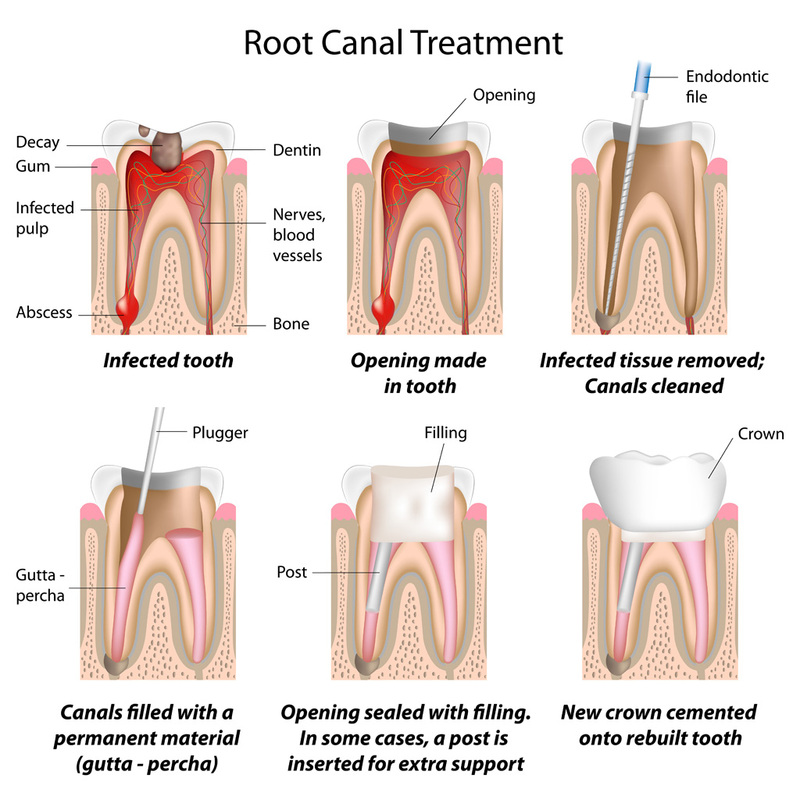 Root canal treatment (also called ‘endodontics') is needed when the blood or nerve supply of the tooth (called the ‘pulp') is infected through decay or injury. You may not feel any pain in the early stages of the infection. In some cases your tooth could darken in colour, which may mean that the nerve of the tooth has died (or is dying). This would need root canal treatment. The aim of the treatment is to remove all the infection from the root canal. The root is then cleaned and filled to prevent any further infection. At the first appointment, the infected pulp is removed and any abscesses can be drained. The root canal is then cleaned and shaped ready for the filling. A temporary filling is put in and the tooth is left to settle. Web developed&designed by Dr.Veranit Haycharoensri,D.D.S.